Layar – the app that brings augmented reality to smartphones has made it back onto the iPhone and is in the app store from now. The latest version of Layar – 3.0 (with support for 3D models) was released on 5th December but had to be withdrawn from the Apple app store due to crashes on unlocked iPhones. Three months later, a limited beta perid and crashes fixed, Layar is back and with it the whole platform of “layers” that it hosts. The layers include everything from The AR Beatles tour to Trulia, an estate agents app that lets you find new properties by looking through your phone’s camera. Layar promise us almost 400 different layers compatible with version 3.0. I’m salivating slightly already. You need an iPhone 3Gs for this to work – that video camera is essential. 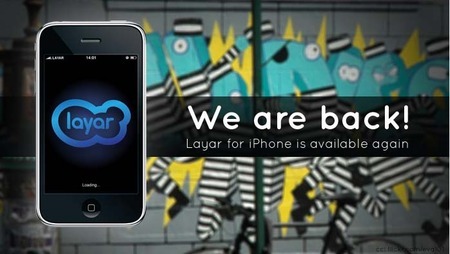 Layar 3.0 has continued to run fine on Android phones since its launch. Railroad Perfume – should this be the scent of entrepreneurs?